EFF.ORG (where I’m on the board) filed a Freedom of Information request to FAA about “drones” (Unmanned Aerial Systems, or UAS’s). It’s taken the FAA a long time to release info; they sent us another batch recently. This includes several thousand pages of drone authorizations for law enforcement agencies, universities, and the military. View EFF-created map of law enforcement ‘drone’ projects here. The Gadsden Alabama Police Department also wanted to use its drone for drug enforcement purposes like conducting covert surveillance of drug transactions, while Montgomery County, Texas wanted to use the camera and “FLIR systems” (thermal imaging) on its ShadowHawk drone to support SWAT and narcotics operations by providing “real time area surveillance of the target during high risk operations.” Another Texas law enforcement agency-the Arlington Police Department-also wanted to fly its “Leptron Avenger” drone for narcotics and police missions. Interestingly, the Leptron Avenger can be outfitted with LIDAR (Light Detection And Ranging) technology. While LIDAR can be used to create high-resolution images of the earth’s surface, it is also used in high tech police speed guns-begging the question of whether drones will soon be used for minor traffic violations. More disturbing than these proposed uses is the fact that some law enforcement agencies, like the Orange County, Florida Sheriff’s Department and Mesa County, Colorado Sheriff, have chosen arbitrarily to withhold some or-in Orange County’s case-almost all information about their drone flights-including what type of drone they’re flying, where they’re flying it, and what they want to use it for-claiming that releasing this information would pose a threat to police work. This risk seems extremely far-fetched, given that other agencies mentioned above and in prior posts have been forthcoming and that even the US Air Force feels comfortable releasing information about where it’s flying drones around the country. 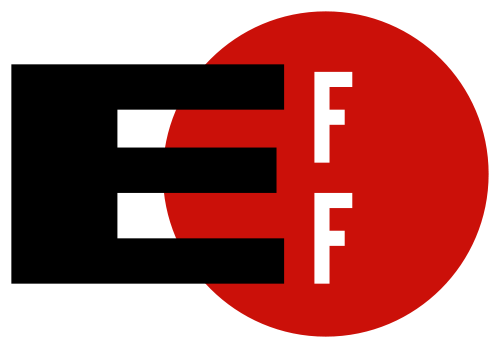 EFF news release and links found here. In April of this year the Austin narcotics unit crashed their drone into themselves,,another $30,000 wasted on the drug war but priceless for the irony and humor. It’s hilarious to see our taxpayer dollars burned up for added “security”. This “security” only creates stiffer laws and less forgiving law enforcement. When did the rehabilitation of the common man be cast aside for “enforcement/justice above all”, putting drug users in cages, expecting them to learn their lesson on their own? Kudos to Portugal for allowing people to help heal drug abuse rather than waste a mind in a jail cell, in dire need of mental stabilization. This is a breach on privacy and should not be allowed. Press on freedom fighters! These people we’re fighting are jack asses who want to satisfy their egos by trying to win a stupid war they’re obviously losing. Are they going to fly these things around the super rich peoples stuff to make sure theyre legal? What ever average people are subjected to, the rich must also be subjected to. No person should be able to skirt the system including these douchebags pushing for this sort of garbage! 1 – aerial surveillance has its place in defense, namely along BORDERS. but as it is, wtf? does that sound like a good use of your tax dollars? F^$k$@g Commies; All our rights to privacy Gone!!! We need to start putting some kind of jamming devices in our homes so when they fly in MY air space they will CRASH!!! For your own safety provided by the federal government and their angencies against cannabis, is to have absolute panoptic view of it’s citizens. And there’s more…..! Using the internet? Federal government got that covered. Whatever happens, the federal government made sure that the citizens are part of the blame, and to have some of their rights taken away for better control. Cannabis is the federal government’s favorite enemy. That is why it’s number one. More weapons developed for the military that are later used against the American people, civilians. Just because Kerlikowski and the other feds avoid using the expression War on Drugs doesn’t mean they’re not waging war on the American people. Nothing spells failure of cannabis prohibition like 2 U.S. states legalizing. How about a peace dividend, save some money, make some jobs. FTF FTP FTATF FTDEA, Did I miss anyone?